Tyre review data from 179 tyre reviews averaging 72% over 4,164,989 miles driven. Positive - Very balanced tyre, scores well in all safety related tests. Top marks on wet roads. Mileage can be hugely dependant on the car use and driving style, but somewhere between 10-20k on the front axle and anything up to 40k on the rear. 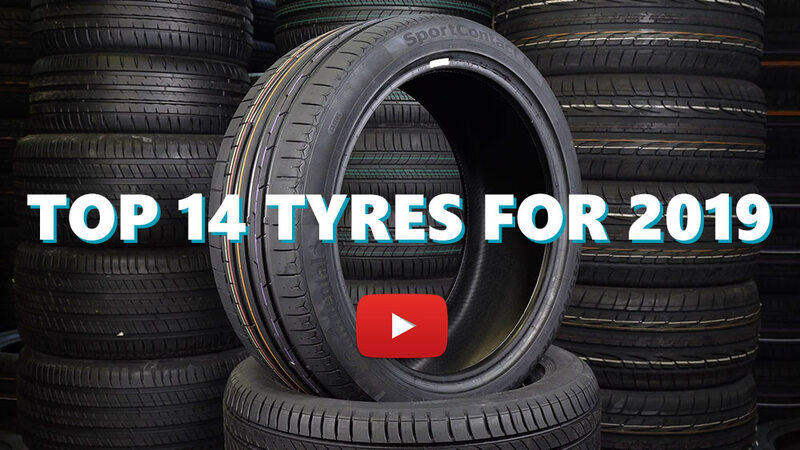 Available in 48 tyre sizes - View all. Put these on the front of my Clio 182, cos I couldn't stand what I had on there before (Michelin Pilot Sport 3, which I moved to the back). WHAT A DIFFERENCE! If your car suffers from tramlining, these tyres will cure the prob. Premium Contact 2s also handle better, and are more fun. Although a premium touring tyre, and not a sports tyre, at road speeds these are much more progressive on the limit and offer much more feel, feedback and communication than the supposedly superior premium sports tyres I had on the front before. Had the same experience with Conti PC 2s on the front of an E36 328i I used to own - unrivalled fun. Not quite the grippiest tyre there is, but the unequalled progression and feel etc. mean this tyre might just be the best kept secret for fun at speeds you can tell a policeman about. Have you driven on the Continental Premium Contact 2 tyre? Please help millions of other drivers make an informed tyre choice and pick the correct tyres for their car by submitting your review of the Premium Contact 2. Long term review Continental Premium Contact 2 (CPC2). These were equipped as the stock tyre, from the factory. The first set, had 4 grooves (84v) and I didn't rotate them. The replacements sets (front only), are the XL (88v) version, these only had 3 grooves, in the stock size. 15,000 miles (July 2013 - Aug 2015) on the front. The replacement fronts sets, 3 grooves (CPC2 - 88V), didn't fare as well (ware wise). Cornering at speed and feedback on limits of traction, is good adding confidence, to driving. Grip in the dry and wet is good, until they drop below 2.5 mm. They sometimes lose traction (not often) and don't hold the road as well. The 3 grooves, version are more prone to traction loss vs the 4 grooves. Once the temp drops (4c or below) and the tyres have worn to 3mm or lower, they feel very stiff/rigid. Until they get some heat in them. The side wall of the rear right tyre must have been curbed (badly) as a piece came off, but the still stayed strong. They are nosey and the rolling stat is F, using more fuel, which over time will add up. After reading the reviews and feedback. I short listed Michelin Primacy 3 and Goodyear EfficientGrip Performance. I've just replace all 4, Continental with Goodyear, which did cost more. So I'm hoping for better ware, grip, noise and mpg (time will tell). This time around I will be rotating. These replaced a pair of Toyo T1-R tyres on my Clio Sport. They exceeded my expectations by quite a bit and they are far better than the Toyo's in every way other than ride comfort. I especially like the feedback they give when driving and I am also impressed by the wet weather grip and progressiveness at the limit. I drive my car very hard and this tyre delivers.